WIN UP TO A YEAR OF FREE PRODUCT! 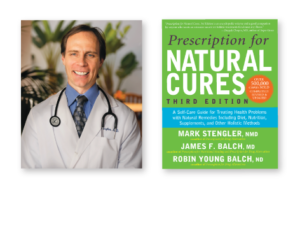 GRAND PRIZE: 12-Months Free of your Emerald Labs testimonial product. 2nd PRIZE: 6-Months Free of your Emerald Labs testimonial product. 3rd PRIZE: 3-Months Free of your Emerald Labs testimonial product. 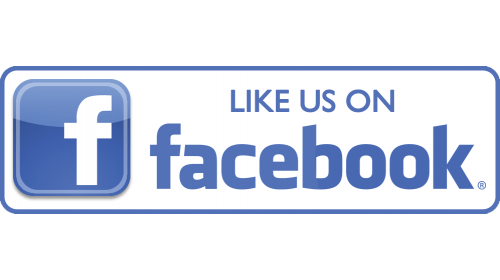 Like us on Facebook and/or Instagram @emeraldimfree. Share our I’m Free Campaign on your Facebook and/or Instagram page(s). Tag @emeraldimfree AND #emeraldimfree AND the name of your favorite Emerald Labs product. FOR AN EVEN BETTER CHANCE TO WIN SHARE YOUR “I’M FREE” TESTIMONIAL AND PHOTO. EVERY TESTIMONIAL ENTRANT WILL BE GIFTED 1 Complimentary Bottle of their Emerald Labs testimonial product and an “I’m Free [of additives]” t-shirt as our thanks. TESTIMONIAL SUBMISSION FORM. All fields are required to be completed please. 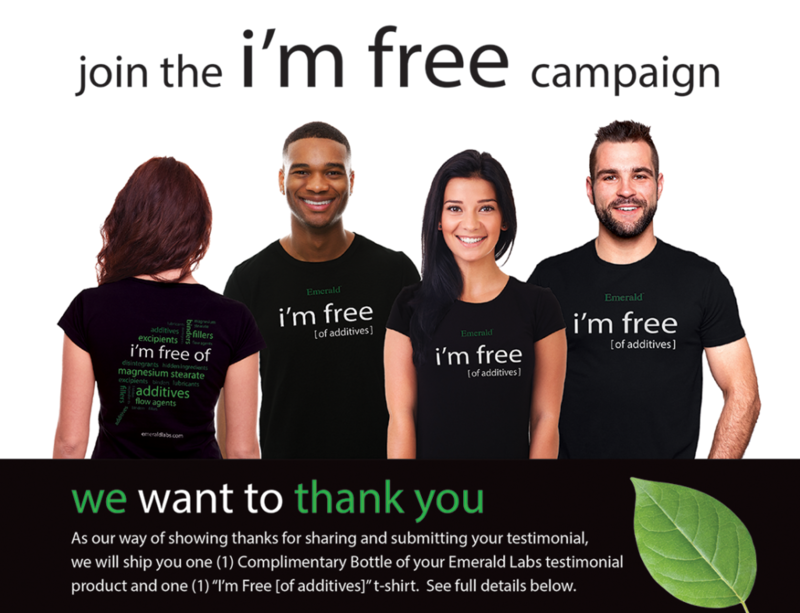 Email a high-quality photograph or video of yourself wearing your “I’m Free” shirt and holding the Complimentary Bottle of your Emerald Labs testimonial product to testimonials@emeraldlabs.com. Giveaway hosted by Emerald Labs. No purchase necessary. Purchase does not enhance chance of winning. Void where prohibited. To be eligible to participate in Testimonial or Giveaway, you must be at least 18 years of age. Testimonial submissions must be processed through “emeraldlabs.com/imfree” or via the email testimonials@emeraldlabs.com. 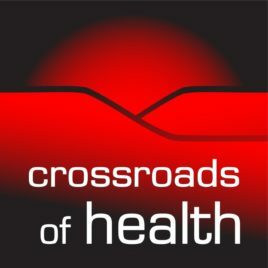 By submitting your testimonial, you agree to a full release of rights and authorization for Emerald Labs to use your testimonial and image(s) in part, or in full for any and all purposes, including, but not limited to social media, digital and print marketing campaigns. Emerald Labs will NOT disclose your full name or contact information (First Name and Last Initial will be used as well as City and State). Participant shall expect no financial compensation in exchange for their testimonial. One (1) submission, one (1) product per person. Emerald Labs reserves the right to limit/restrict the number of submissions at any time. Entries must be submitted between 12:01 am PST, March 1st, 2019 and 11:59 pm PST, April 30th, 2019. Winners will be announced via email and/or social media postings June 1st, 2019. Emerald Labs respects your right to privacy. We will not share or sell your contact information with any third party for marketing purposes. Your contact information is for internal use only for purposes of providing you information about Emerald Labs and the I’m Free campaign. “Unfollowing” may result in disqualification from entry into future promotional giveaways. Entry constitutes agreement to all Terms & Conditions.